We’ve been traveling a lot lately and I’ve taken full advantage of the plane and car time to knit. 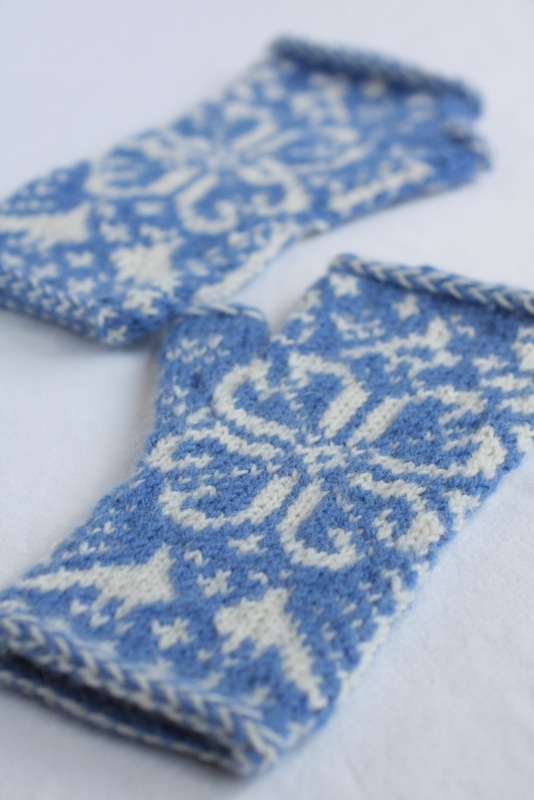 I started these fingerless mittens for one of my nieces on the plane out to Portland, Oregon and I worked on them every time we were in the car out there and driving up to Seattle. 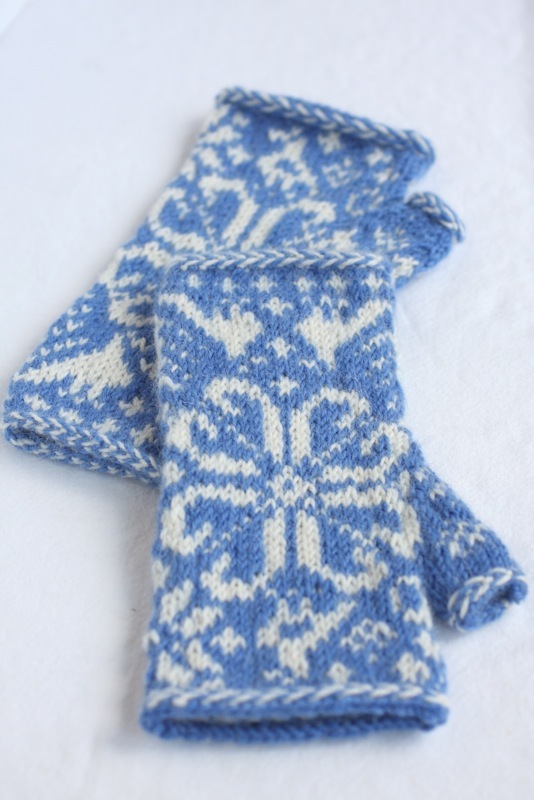 I absolutely love these mittens and it may be very hard to part with them! 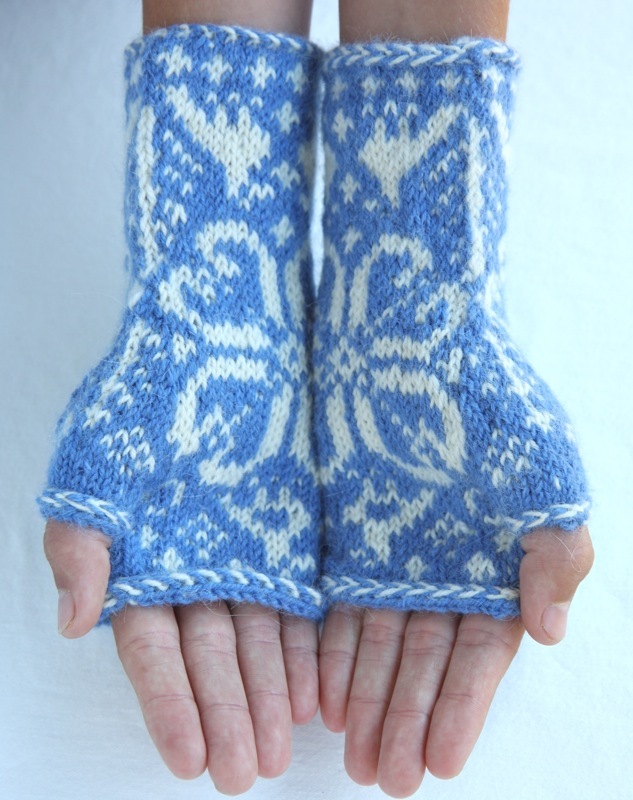 The pattern is Jenn Wisbeck’s “Treescape” Mittens and for the life of me, I cannot figure out why there isn’t anyone on Ravelry who has knit them! What’s up with that? 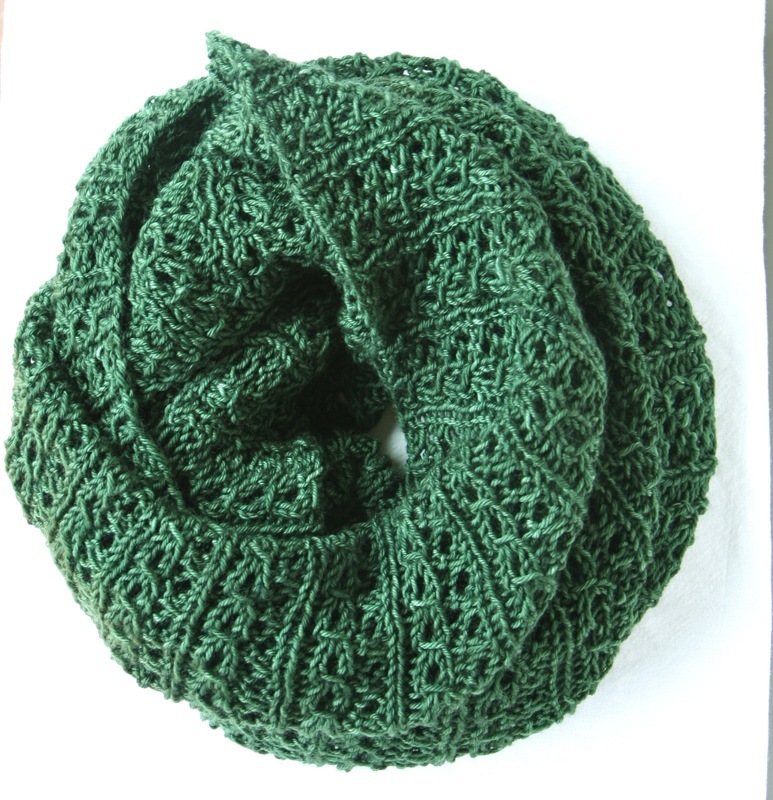 They are so adorable and fun to knit. 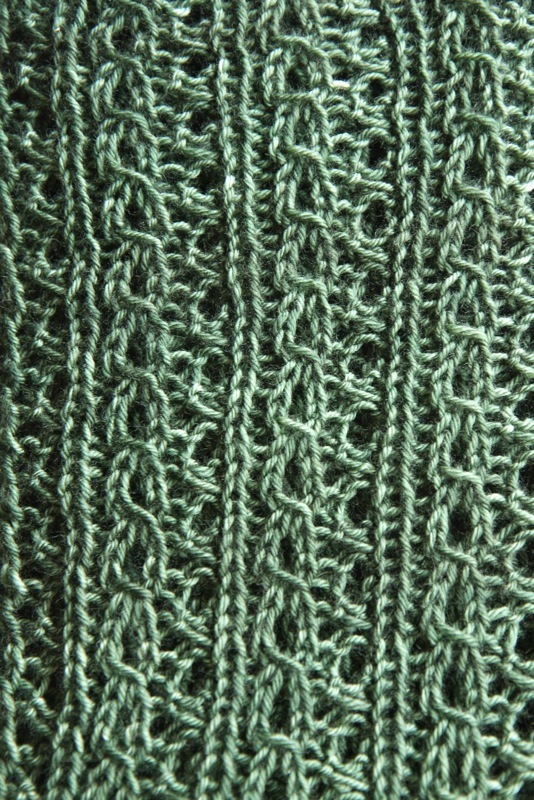 The only problem in my knitting them was that, although the pattern photos of the mittens show a light background and dark motif color, and that’s what I knitted, the actual pattern chart is a dark background and light motif. This was confusing and I constantly had to tink back if I wasn’t paying close attention. I always had to remember that the white squares were the dark color. Anyone have a solution for that? I wish I could have copied the chart someway and reversed the lights and darks. 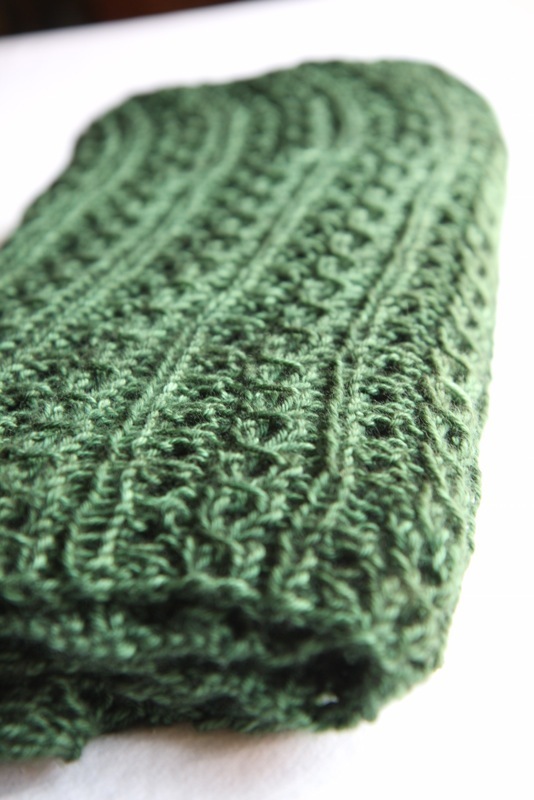 I knit them up with Berocco Ultra Alpaca Light, one of my favorite yarns. 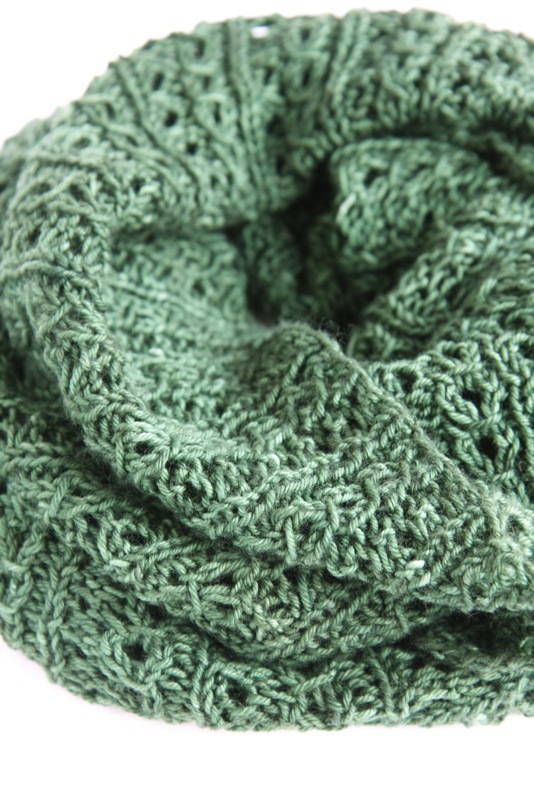 It’s so soft and warm, with the alpaca added to the wool. I used a #2 circular needle, using my favorite Magic Loop method. I know my niece will love them when I give them to her at Christmas. 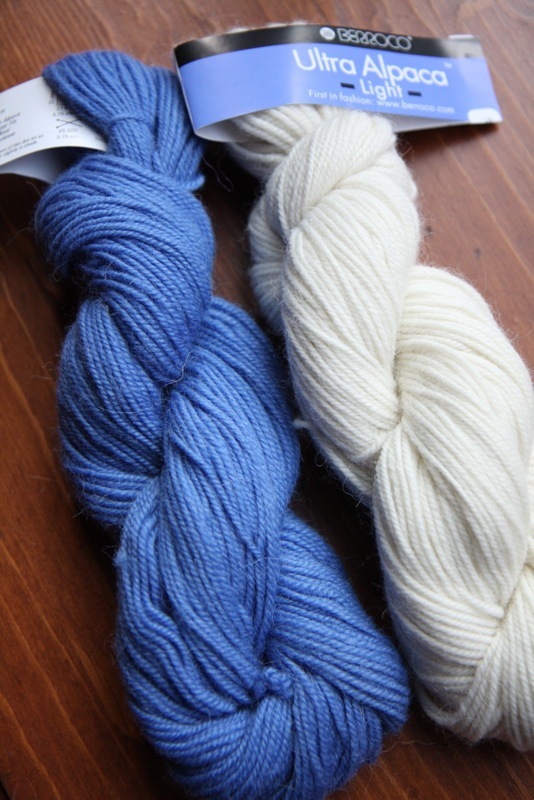 You are currently browsing the Italian Dish Knits blog archives for July, 2011.